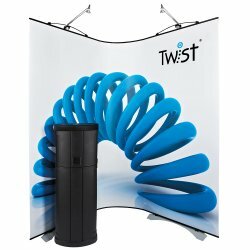 If you are looking to acquire a quickly assembled large format backdrop for that exhibition, conference or seminar your first choice has to be a banner stand. 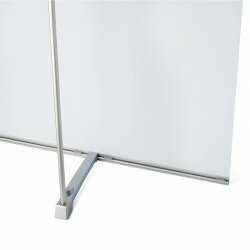 Banner stands are now available in many different styles and range from the cheap budget roller banners, top of the range tension banners, replaceable cassette banners or now even aluminium banner stands that take rigid boards. With such a wide choice available there is sure to be one available to meet both your size, style and price requirement. Without doubt a banner stand, whatever the style is these days a must have requirement for any business however large or small, whether your requirement is for an outdoor stand, a single or double-sided banner stand they are all definately the most cost effective, high impact portable display solutions to advertise your product or service in the market place today. 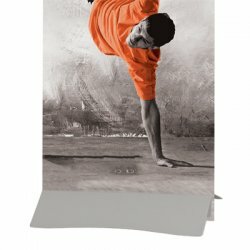 All portable banner sytems supplied by Stylize Display Graphics are supplied complete with a beautiful, full colour, fade-resistant graphic or graphics which are printed at the highest resolution possible (unless otherwise stated and dependent on which printer used). All banner graphics are produced in-house and on one of our industry leading large format printers such as our super quick 8 colour HP DesignJet Z6200. 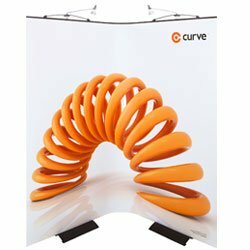 We have some of the best priced banner stands available in the UK, this has not been achieved by cutting corners on quality but by having an organised workshop, buying from manufacturers in bulk and cutting waste, this ultimately means we can pass the savings onto you the customer, meaning we have some of the cheapest stands around. 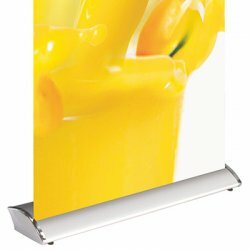 Of all the different types of stands that we offer, pull up banner stands, which are more commonly referred to as roller banner stands or even just, roller banners are the ideal solution for in-store promotions, reception areas, directional signage, exhibition venues etc. Being free-standing, all our banners are quick and easy to assemble, most requiring no tools, also the majority of banner stands are supplied complete with custom made carry bags for protection. 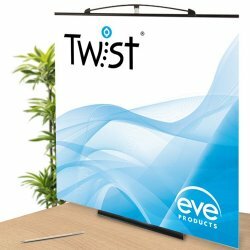 As we carry a huge range of stock most display stands are therefore available on a 3-5 day service as standard, very often we despatch one-off banner stands the same day that we receive print-ready artwork! 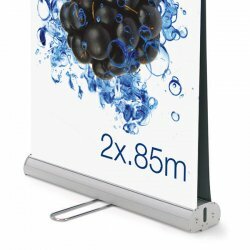 Whilst the most popular size of stand is 800 or 850mm wide we have a range of other banner stand sizes, which are available in a variety of different styles and formats. 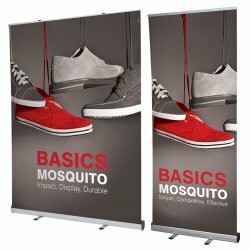 Should you find that your banner stand graphic is no longer current we offer a replacement graphic service for most makes, models and sizes of banner stand, whether they are made in the UK or imported from China, sourced from us or from eBay, we are able to provide your stand with a new graphic. Please visit our Replacement Graphics page to find out more. 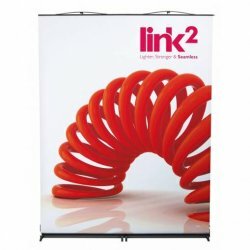 This is a great little banner - compact and lightweight so its easy to transport. Of course, Stylize gave us top quality print with vibrant colours. Jon.